Recover deleted text messages. In this smartphone era messaging became one of the basic needs of human beings. Our conversations are mostly done in messaging. Even business deals are also done through messaging these days. The cases may slightly differ from device to device. This may be overcome by simply reading the options given in your device carefully. These processes to recover deleted messages are mainly for those messages which are recently deleted. This is because when you delete a message the memory is temporarily available even though memory location is lost. After any new activity, the memory location is filled by something other. In these conditions sometimes we unknowingly delete some messages which may be useful later. Otherwise, due to some other faults, they may be automatically deleted. So we need to be careful while handling with messaging in android and IOS smartphone. But there are some tricks to recover deleted text messages in these cases. Android message recovery is much easier than any other device. This is because of the free availability of different apps for recovering deleted messages. Before recovering deleted messages the imported things that should be available are, you’re smartphone from which you wanted to recover deleted text messages, a PC or MAC and a cable to connect your mobile to a smartphone. 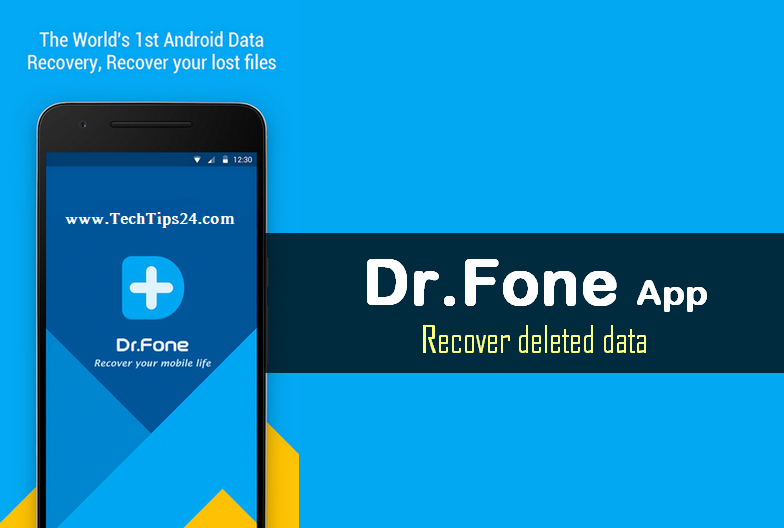 Download the Dr. Fone app from the Google play store. Now install the app on your PC. Dr.Fone is not a mobile app. It is a Computer app. Now in your Android mobile check the USB Debugging button. To do this you need to get access through developer options. Many mobiles have this access directly. But for the mobiles that do not have access to developer options click on the ‘build number’ available in ‘about phone’ settings rapidly. Then a pop-up box appears showing that you have access to developer options. Now enable the debugging option. Now open the installed Dr. Fone app and connect your android phone to your PC. Run the recovery program and follow the prompts to scan and analyze your android mobile. Now browse your messages in your system. As we said before your messages will not be deleted until overwritten by something other information. Browse your messages and select to recover deleted text messages. Now select the messages folder and select the messages you want to recover. You can recover deleted text messages to your system or the android system. Hence everything is done. All your deleted messages will be recovered to your device. Act fast to recover deleted text messages, as they may be overwritten by other information after the updates in memory. Best thing is to switch off the internet connection as soon as you want to recover deleted text messages. In iPhone, there is a special feature for messages that is you can set backup for your messages in iCloud. If you have done this on your iPhone there is no need to worry so much to recover deleted text messages in iPhone. You can directly login to your iCloud account and set synchronize with your phone. Hence you can recover deleted messages all at a time. But what if you have not created a backup account? 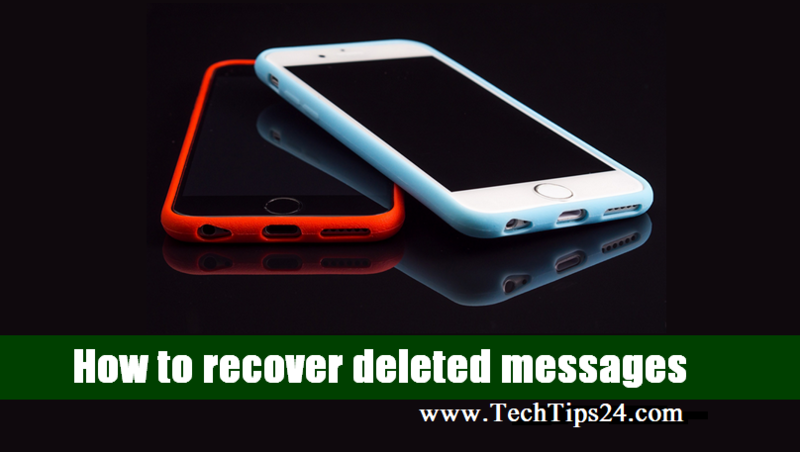 Here is a simple method for you to recover deleted text messages in your iPhone. For this thing, you need iPhone recovery software. I use FoneLab for this purpose. First, download the iPhone SMS recovery software FoneLab into your PC. Install the software on your PC. Open the software. Now connect your iPhone to your PC. The software will automatically detect your iPhone. If an iTune pop-up appears close it. After connecting your device, click on the scan button. The scan button will be visible at the bottom of the window. This will scan your device to recover deleted text messages. This software has the ability to recover all the deleted information from your device. That includes photos, videos, messages and even all the information. Now select only the messages option to recover deleted text messages only. Now all the deleted messages will be shown in the left sidebar. Now select the recovery option at the bottom and all your messages will be recovered to your iPhone device. Hence it is done. Now it’s time for you to set an iCloud backup for your deleted messages. This will help you the next time you want to recover deleted text messages from your iPhone. You can also recover deleted text messages from your iPhone by iTunes software. This provides a free backup to your messages if enabled. The Gmail is the most efficient thing which we use for many of our daily activities. The terms and conditions of Gmail from google are very strict. Therefore Gmail assumes the Emails without correct functionality as spam and puts them in the trash folder. If we do not attempt to look at them the messages will be deleted. There will be some other cases in which our messages which we think important will be deleted automatically. In those cases, you need not worry so much, as there is a very good feature in Gmail to recover deleted text messages. To recover deleted text messages in Gmail first trace out the Trash folder. The messages deleted in Gmail will be mostly put in the trash folder. Now open the trash folder and locate your deleted messages. The deleted messages will be safely sitting in your trash folder until you delete them permanently from trash folder. Click on the recovery and it will ask the destination folder. Select on destination folder i.e. inbox or started or any other folder. Now all your deleted messages will be recovered in your Gmail. Keep in mind that Gmail deletes its old messages from time to time. Act before it does this. If you are unable to find your trash box, click on the settings from the top. Select the trash box settings. Now select the show option. Now your trash box will be visible along with the other messages. To recover deleted messages you should have a backup beforehand. This will help you recover deleted text messages even without the help of other software. Make sure that you act fast after deleting a message accidentally. Because every device has a feature to write over the new information on the deleted memory.